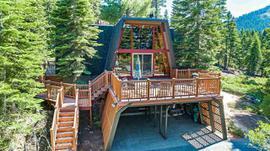 Would you like to hear my opinion about 4014 Courchevel Road, Tahoe City, CA 96145, the good, the bad, and the ugly for this property? Shoot me an email, and as Paul Harvey said, "and now you know the rest of the story." I pride myself in being honest and frank and doing right by people. No fluff, honest pros and cons from a down-to-earth guy with over 20 years of experience. 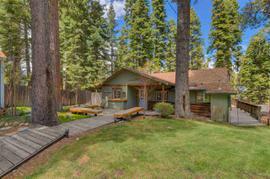 The property at 4014 Courchevel Road, Tahoe City, CA 96145 is located within in the city of Tahoe City and the ALPINE PEAKS-4WE subdivision. 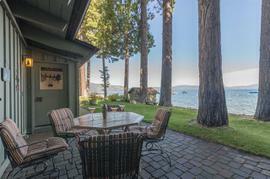 The property was built in 1991 and offers 3 bedrooms 2 bathrooms and 2212 square feet. 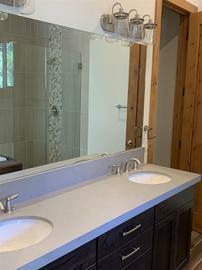 The Single Family at 4014 Courchevel Road, Tahoe City, CA 96145 is roughly 4.1 miles from Squaw Valley Ski Resort, 9.96 miles from Northstar Ski Resort, 12.74 miles from Truckee, and 0.83 miles from Tahoe City. 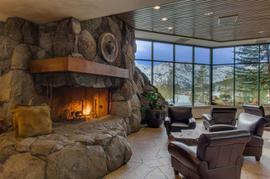 This is an incredible mountain home surrounded by Forest Service land with views of Alpine Peaks. 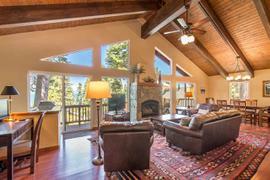 Great open floor plan with vaulted ceilings and hardwood flooring. Retire to your en-suite master bedroom with jetted tub and steam shower after a full day of playing, entertaining or exploring. 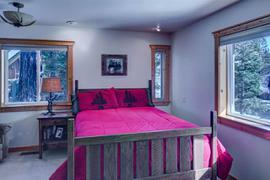 Enjoy the additional loft space that can be used for an office or extra bedroom. 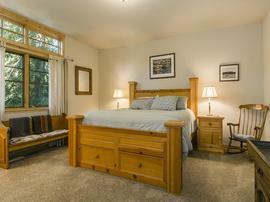 Just minutes away from Alpine Meadow's Sherwood chairlift (HOA has a parking pad) and access to hiking/biking trails!